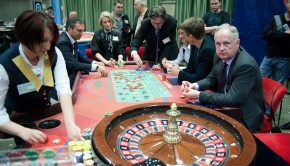 Knowing the game of Roulette well might help you win a bet or two; but understanding all the particular layers and finer mechanics behind the various quirks and not-so-random variables can give the player a fair advantage over the course of the game, and help even the odds by somewhat removing the house edge. Players however, are not the only ones to use bias wheels to their advantage. Opportunistic casino owners see big profits from exploiting even the slightest irregularity in both the bowl and/or the wheelhead mechanism of the wheel. 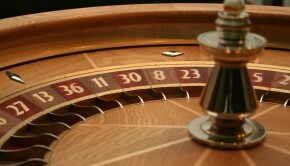 Players wouldn’t have a problem with bias roulette wheels, if they bet in virtual/online casinos; where the sequence of winning numbers is supposed to be truly ‘random’. 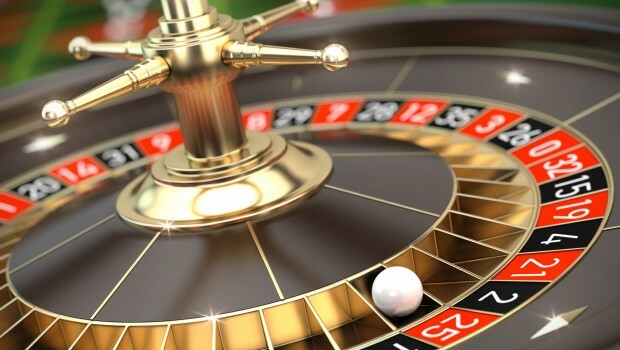 But when playing in a land-based casino, one can always expect that the roulette wheel will behave in some way, which in principle wouldn’t make sense. Even the highest-quality roulette wheels will eventually fall victim of time and start giving bias results. This is not due to some ‘intentional’ ploy to swindle players out of their precious money (although they have been many documented cases of such things happening), but simply due to the physical limitations of the materials themselves, which in turn dictates the ‘wear and tear’ factor. Roulette wheels are made to look way more ‘random’ than they truly are. For example if you look at how the wheel is spun, you will see the ball going in one direction, and the wheelhead in the other direction. This gives the illusion that the ball is entirely on the whim of its natural forces, and the end result will always come out random and unpredictable. This is a valid and practically true statement, at least in theory. In reality however, there are many factors that show otherwise. Even the most elaborate roulette sets have the tendency of breaking down after years if intense use. No matter how hard the dealer spins the ball, the wheelhead will eventually start favouring a particular set of numbers. A bigger challenge is actually finding a wheel that is ‘damaged’ enough to mathematically level the house edge in favour of a certain bet (most often a combination). But as long as the wheel doesn’t lose the house money, gambling establishments do little to keep the odds fair and their equipment accurate. Anyone who is a fan and/or specializes in firearms will tell you, that hitting a target while in motion take years, and years of practise and dedication. This is because a good marksmen learns to predict where his sight should be pointed at before pulling the trigger. In the game of roulette, the more erratic the movements of the ball are, the harder is to predict where they are going to lard. High-end casinos usually employ ivory balls (ivory being the overall standard at the moment), but due to ivory’s hight price, synthetic materials can be used instead. Different materials give the ball different levels of “bounciness”. Balls that like to jump a lot when nearing a stop are thought to be more unpredictable; making it harder for the observant player to take an advantage of the situation. What casinos fail to realize is, that the more the ball passes through the numbers, the more influence the biased wheel is going to have on the outcome. Balls that are too bouncy are discouraged because of their extreme physical properties, and the tendency of flying off the tables. At the beginning of each game, the dealer will slowly spin the wheelhead (or rather just keep it turning at a slow pace at about a quarter turn per second) before throwing the the ball counter-wise to the direction of which the centrepiece is spinning. Bigger and most experienced casinos know that bias wheels work better when the speed of the wheelhead is high enough to allow the ball to jump around as it passes through the numbers. Sometimes these problems are due to poor hardware maintenance as time takes its toll on the bearings that keep the wheel-piece turning. Smaller casino halls would often encourage their dealers to spin the wheelhead faster, in order to make up for the ‘wear and tear’ of their equipment. Rapidly spinning wheelheads are notorious for being difficult to read. 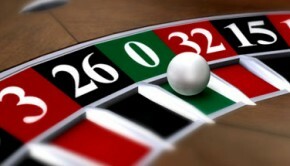 Sometimes the wheel can be hurled so fast, that as the ball lands in a pocket, the dealer has to slow the spin down in order to see the winning number. A popular prediction method known as ‘visual tracking’ is taking its toll on the nerves of more paranoid floor managers. To ‘prevent’ visual tracking from occurring, they would tell their dealer to change the speed of every single spin. This might not bode well for the inexperienced visual tracker, but for professionals using computerized methods, business goes as usual. In fact, simple pocket device is all that is needed to make somewhat accurate predictions, that have little to do with how fast the wheel is spinning. Ball switching is aching to what changing the dice represents in craps; or when opening up a fresh deck of cards in blackjack. It gives the house a peace of mind that the player is not prediction the outcome based on the speed and velocity of the ball. Dealers will often switch their ball, especially when a player is riding on a winning streak. Roulette tables often come with at least three spare balls. It should be noted that any prediction strategy based on a single-size ball might fail if there is a drastic change in the variables (i.e. the size and weight of the ball). Roulette tables often come with at least three spare balls. It should be noted that any prediction strategy based on a single-size ball might fail if there is a drastic change in the variables (i.e. the size and weight of the ball). Specific calculations demand accurate, on-the-spot data, that can be summed up and used without the end result different too much between the spins. An ingenious way to control the ball from the sidelines has been used (and still might be in use) today. Switching the dealer’s ball with a fake one (a ball filled with lead nonetheless) and controlling this ball using magnetic devices is among the oldest (and most successful) methods for cheating there is. The ball is switched using hand dexterity while the dealer is not looking (professional Las Vegas illusionist can do tricks like these in a blink of an eye). Hence the dealer might alternate his balls between each spin as to secure fair and accurate results. Bigger, and thus more profitable casinos had went so far as to actually installing anti-magnetic/magnetic detection devices around their tables, to keep the cheaters away. Nowadays, smaller casinos just run a magnet or a compass by the ball to check if it is up to order.